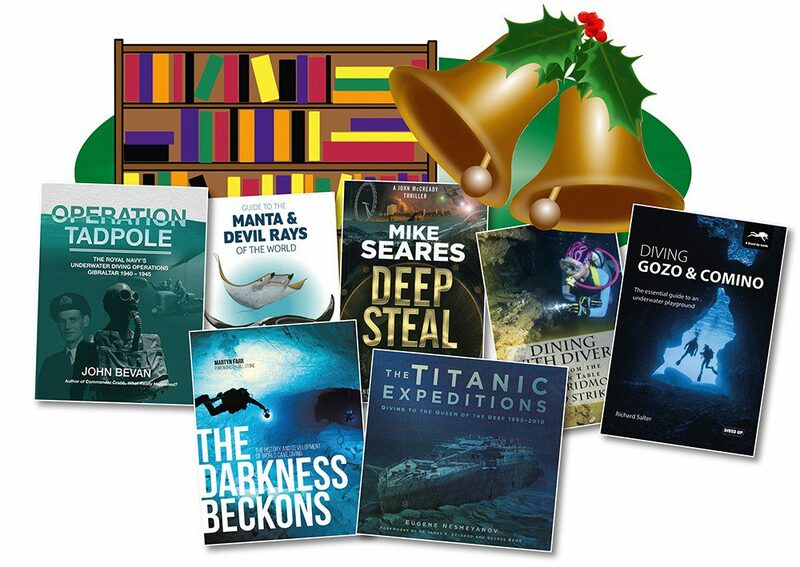 Part 2 of our “Gifts for Divers – books to suit all tastes” includes a selection of some of DIVER’s favourite recent diving-related titles for Fiction Divers, Foodie Divers, History Divers, Travelling Divers and Cave Divers. 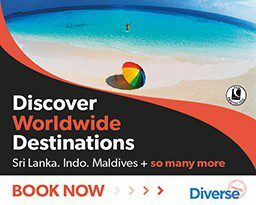 One of the dwindling number of UK liveaboards – it has been operating for some 30 years – is brought to life through the tales of Salutay’s owners, highly experienced divers and wreck-finders, and known for serving tasty food onboard. A selection of Freda Wright’s recipes is included. Read the excerpts elsewhere in this issue to get a flavour. 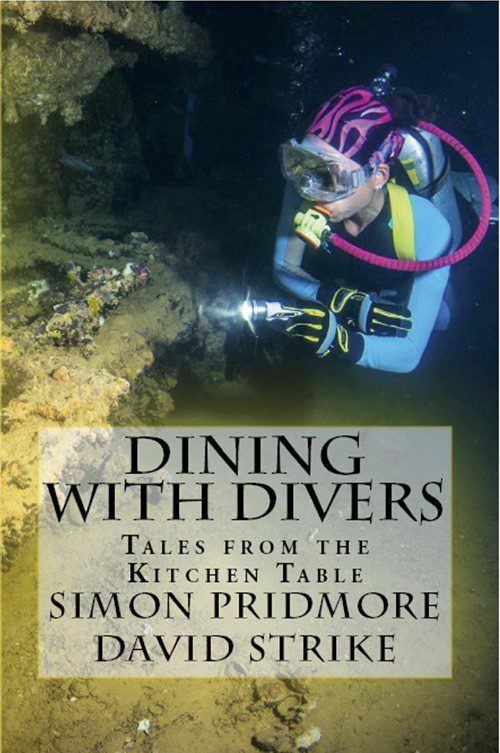 Another bright idea from the prolific Pridmore, this book combines diving tales from a range of scuba-divers around the world with their personal favourite recipes (which might or might not feature seafood). Our reviewer did have trouble following some of the recipes due to inconsistent guidance from their creators, but still found the book an entertaining compendium of diving and dining. 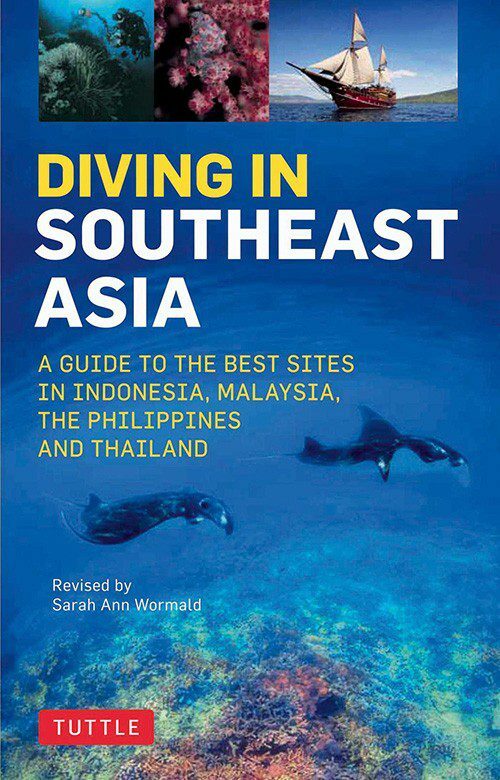 Impressive guide by a bunch of divers to their recommended dive-sites in Malaysia, Indonesia, the Philippines and Thailand. You might argue with the choice of sites but the writing and production values are good, and the maps and 55-page “Practicalities” section very helpful. 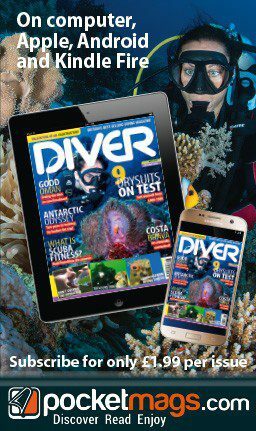 This is the first offering from a Canadian company, though look out for more Atlantic/Caribbean titles reviewed in divEr soon. The authors are all divers and we particularly applaud Otto Wagner’s outstanding dive-site graphics, with wrecks shown from different angles with dimensions and depths – great for visualising and maximising your dives. Published just a month after Gozo’s famous Azure Window natural arch collapsed, the publisher impressively managed to include that new dive-site. 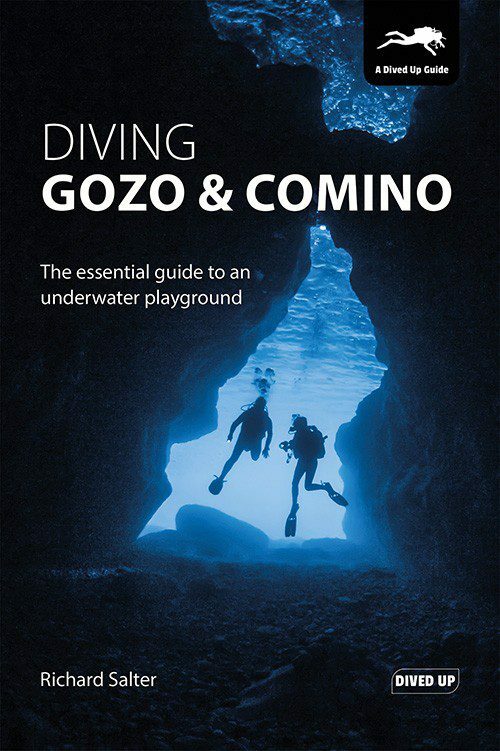 The author, a local dive-instructor, has written an excellent guide for visitors, including 57 mainly shore-dives on Gozo and 14 on little Comino, with useful site-sketches and photos. 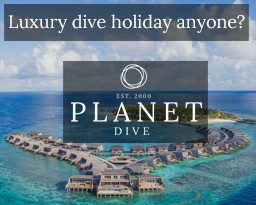 An aspirational and indulgent browse, designed to help divers decide which trip of a lifetime to take in possibly unfamiliar parts of the world. 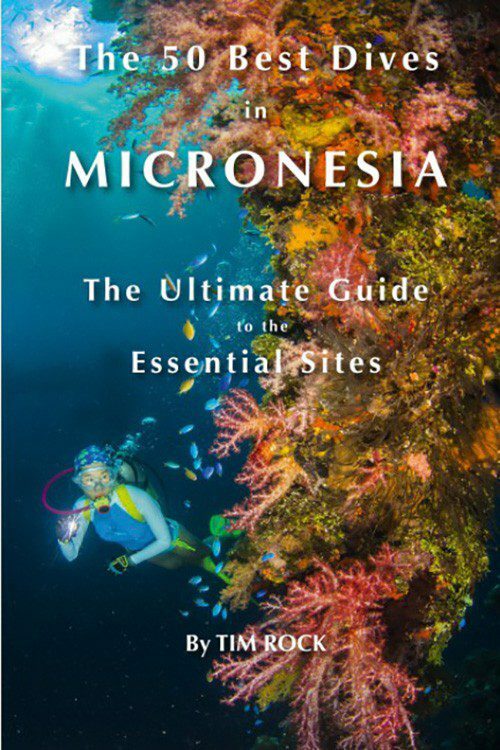 There is little technical detail but plenty of mouth-watering descriptions of bucket-list places such as the Marshall islands, Truk Lagoon, Yap and Palau. Formatted for the smaller coffee table. 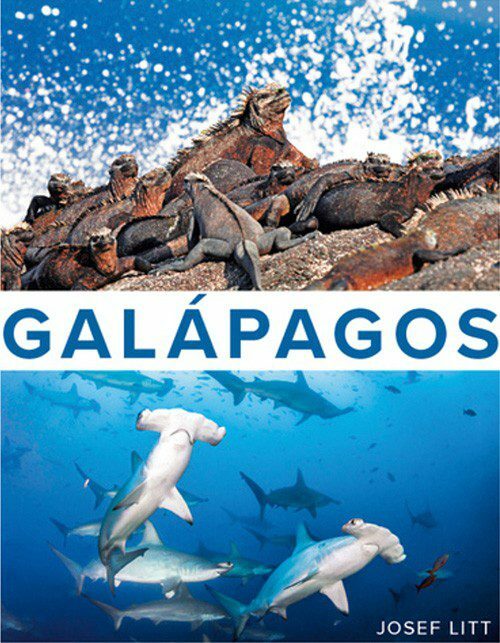 Described by Alex Mustard as “a must-read for anyone planning to visit and equally for those that already have a place in their heart for Galapagos” this glossy book covers all aspects of the Pacific dream destination, although especially bearing in mind the publisher’s name we could have done with a lot more diving and underwater photography as a proportion of the whole! 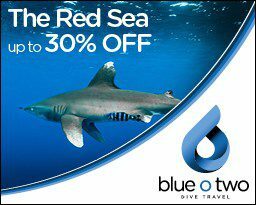 A handsome souvenir for divers who have made the trip. 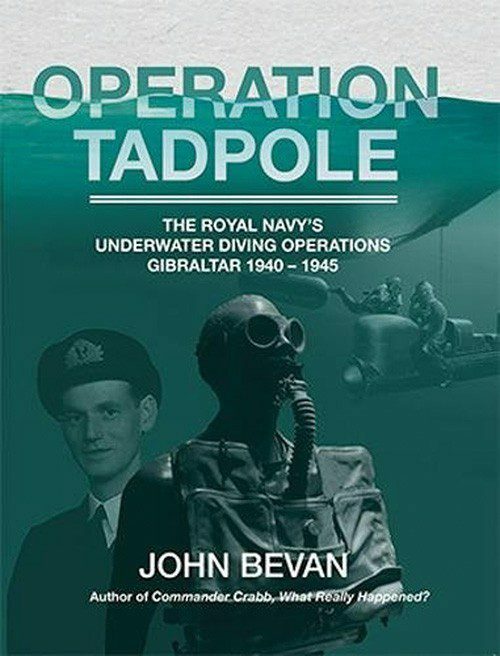 This is the WW2 story of Italy’s “human torpedoes” and the Royal Navy divers tasked with foiling their efforts to sabotage shipping around Gibraltar. Commander Lionel “Buster” Crabb has long been given much of the credit but John Bevan sets out in his dispassionate style to show that it was Lt Bill Bailey who was the real mastermind here. 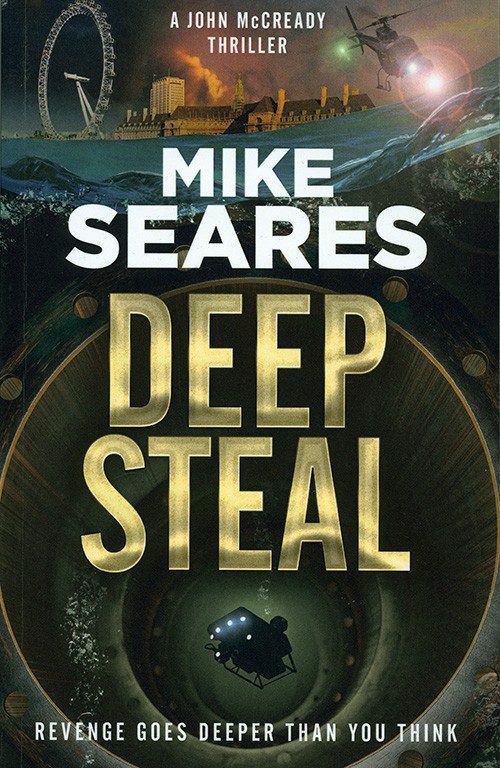 This is a filmic thriller that delivers on the thrills, and reflects the British author’s long involvement with diving in the movie industry. The plot might be far-fetched (though what is really implausible any more, in the age of Trumputin?) 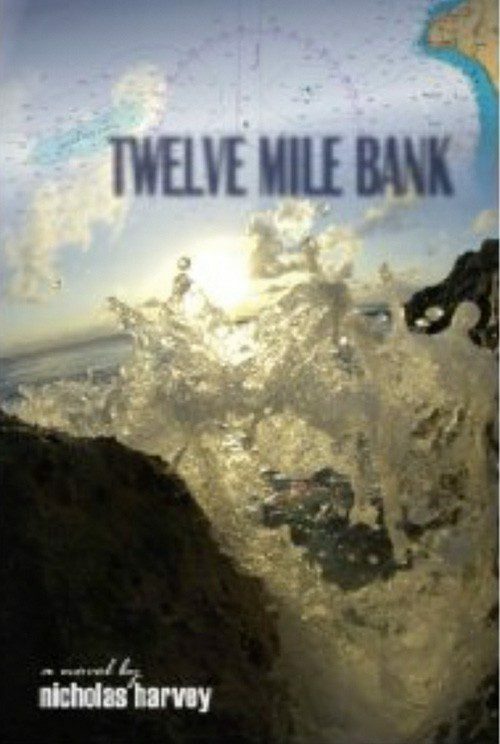 but it’s an exciting and well-written underwater caper ideal for taking on the plane. 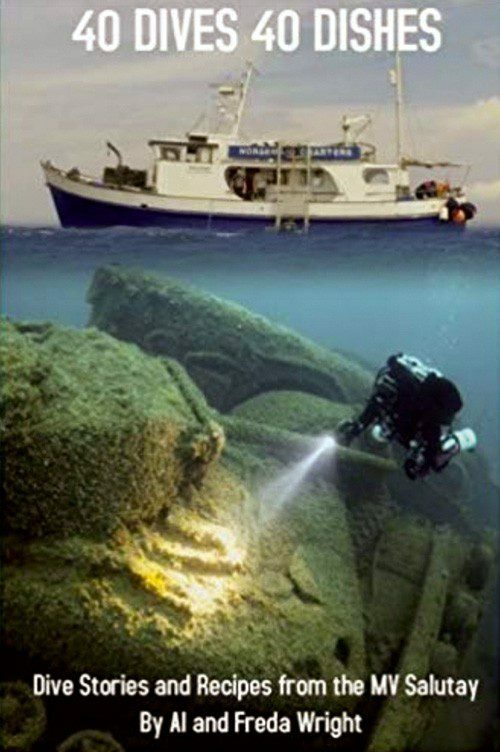 Light on scuba-diving, however. 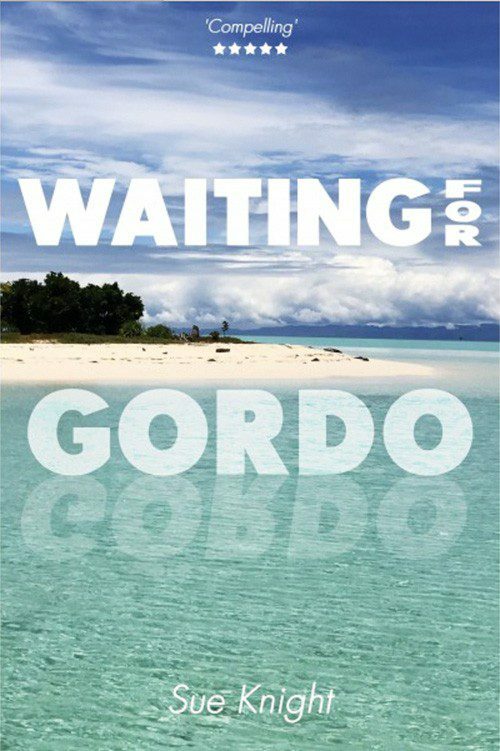 Short, eccentric thriller about a mixed bunch of middle-aged scuba-divers holidaying on a Maldives-style resort island. The lyrics of Ten Green Bottles Hanging On a Wall at the start give the clue to the theme as the generally unlikeable character list starts thinning out. Mildly unsettling and, again, light in scuba content. 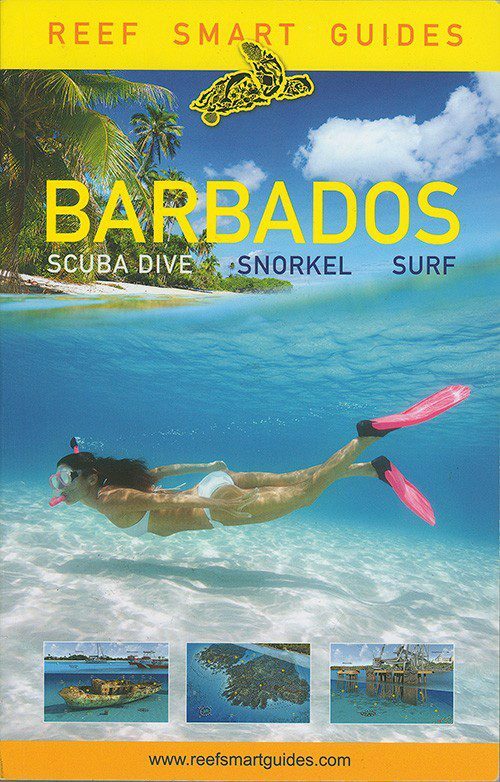 Probably the pick of the fiction bunch, certainly for scuba content, this is another of those Nazi gold-based novels, this time based in the Cayman Islands and, although it could do with a little more suspense, a worthy page-turner. Packed with credible diving narrative and historic themes, the well-constructed plot unfolds in compelling flashback style. This cave-diver’s bible by the Welsh wizard first appeared in 1980 but has been extensively updated and broadened in scope. A practical guide, it is now far bigger than the original, embraces the great sites of the world and is packed with photos, maps and diagrams. 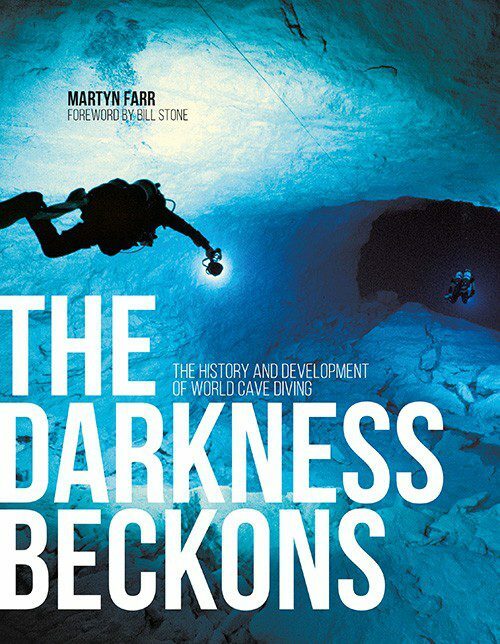 As sharply written as ever, it’s almost compulsory reading for cave-divers. 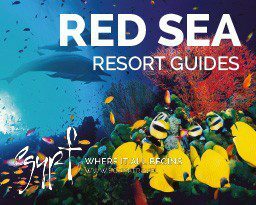 Click here for Part 1 of Gifts for Divers – books to suit all tastes, for Wreck Divers and Wildlife Divers.